Like fife and drum musicians in Colonial days, Jim Lamay stands at attention under his tricorn hat—a snare drum strapped over his right shoulder—until he and the Deep River Drum Corps launch into a spirited patriotic tune in Deep River, Conn. (pop. 4,629). In the last 50 years, Lamay has never missed the Deep River Ancient Muster, the largest gathering of fife and drums corps in the United States. Using wooden drumsticks, Lamay and fellow percussionists perform a crisp roll on Colonial-style instruments, sending a reverberating echo through the New England town. Onlookers applaud as other musicians play wooden fifes and booming bass drums, and the band regales the crowd with “Yankee Doodle,” a signature song of the Revolutionary War. 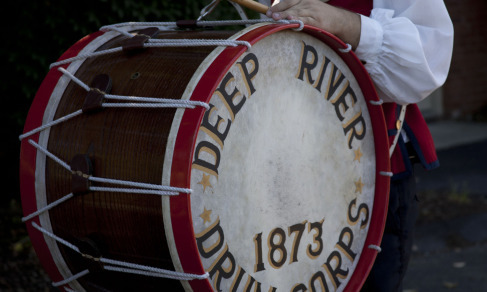 Up to 80 bands dressed in historical attire converge each July on Deep River. 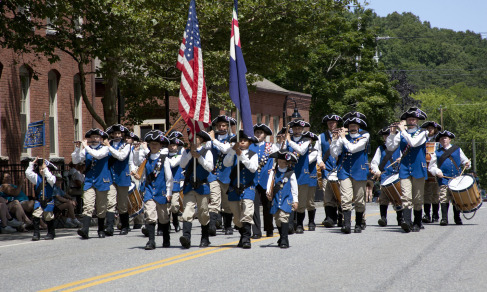 One group at a time, they parade along Main Street, passing historic homes and buildings while performing some of the same music that provided the cadence for troops marching into battle during the Revolutionary War, the Civil War and other early American military engagements. Since age 6, Buell has played with the drum line of the Chester (Conn.) Fife and Drum Corps, one of the nation’s oldest continually active corps. 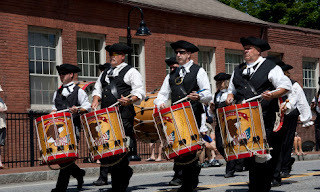 The group was co-founded in 1868 by Buell’s great-great-great grandfather, Oliver Buell, and his parents, siblings and daughters all have participated as fifers, drummers or members of the corps’ color guard. 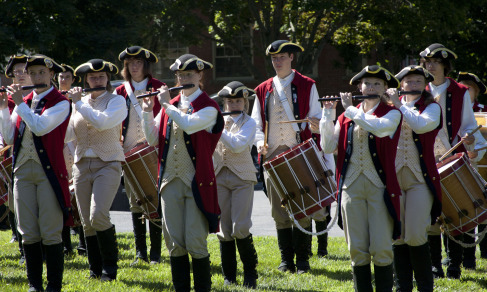 Most of the music played by the Chester corps dates to the Revolutionary War and has been performed in the same style for 145 years. 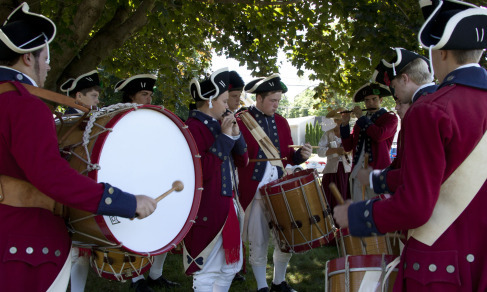 During the early Colonial era, America’s fife and drum music grew out of necessity to communicate across distances of up to five miles. 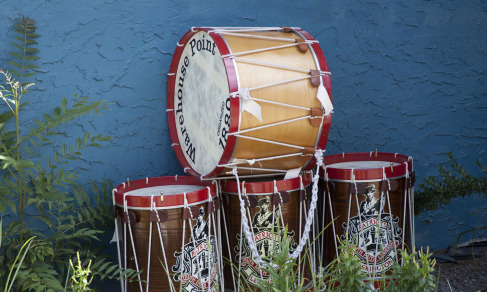 Before foundries were established that could cast church bells, town drummers notified citizens of public events. 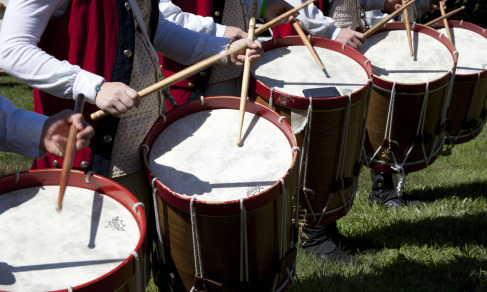 Throughout the Revolutionary and Civil wars, percussion instruments were used to tell troops when to wake, eat, work, sleep or be on alert. 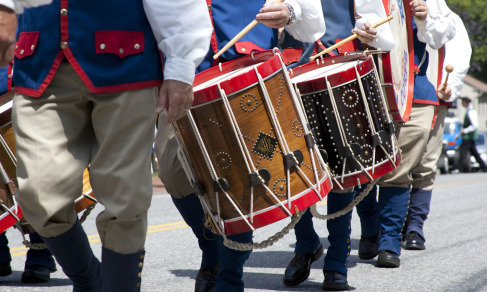 By the Civil War, young boys were recruited for the task of playing music for foot soldiers to break up the monotony of long marches and to inform troops when to assemble, charge, retreat or cease-fire. During the same period, cavalries introduced a brass horn to the music of war. 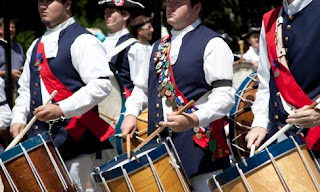 “After the Civil War ends, the bugle takes the place of fife and drum for military purposes, and [the fife and drum] become this recreational and nostalgic part of music for Civil War veterans,” says James Clark, 58, author of Connecticut’s Fife and Drum Tradition. 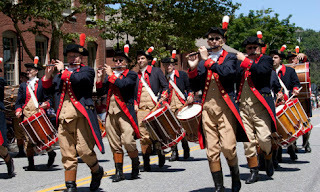 The Deep River Ancient Muster traces its roots to May 13, 1879, when five area fife and drum corps participated in a “field day” at Devitt’s Field in Deep River. 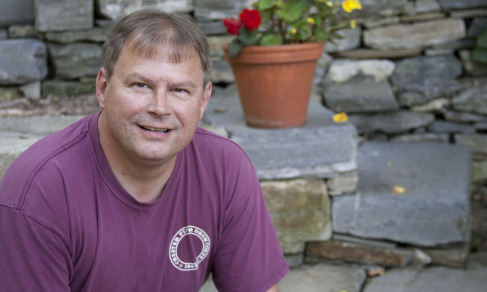 “They were competitive events, though they weren’t very competitive. 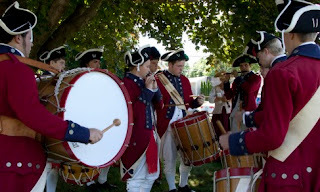 It was really an excuse to get together and play music,” says Clark, a founding member of the Connecticut Valley Field Music, a fife and drum band based in Middletown, Conn.
For the next seven decades, more field days occurred periodically until Sept. 5, 1953, when 15 corps from Connecticut, Massachusetts, Maryland, New York and Washington, D.C., gathered for the first muster in Deep River, which featured a one-mile parade through town and later included a series of short musical performances—called a "tattoo"—at Devitt’s Field. Last year’s event was attended by 58 corps from 11 states, including the Old Guard Fife and Drum Corps of the Army’s 3rd U.S. Infantry Regiment, based in Fort Myer, Va.
Last year, awards were presented to the corps that traveled the farthest (the Western Plains Fife and Drum Corps of Elizabeth, Colo.); featured the most marching participants (the 32-member Moodus Fife and Drum Corps of Moodus, Conn.); and demonstrated the most patience by marching last in the parade (the Fifes & Drums of the Delaware Militia in Newark). While striving for precision and synchronicity, the musicians preserve a tradition inspired by diverse passions. Watch video "Visit the Deep River Ancient Muster".